Looking for hotels in Niagara Falls New York that deliver a complete vacation experience? Look no further than Seneca Niagara Resort & Casino. For adrenaline-pumping adventure, mouthwatering cuisine, electrifying entertainment, thrilling nightlife, stunning panoramic views and easy access to the most popular attractions in the Niagara Falls area, we invite you to make your escape and spend your vacation with us. Every year since 2006, our full-amenity resort has received the coveted AAA Four Diamond certification. 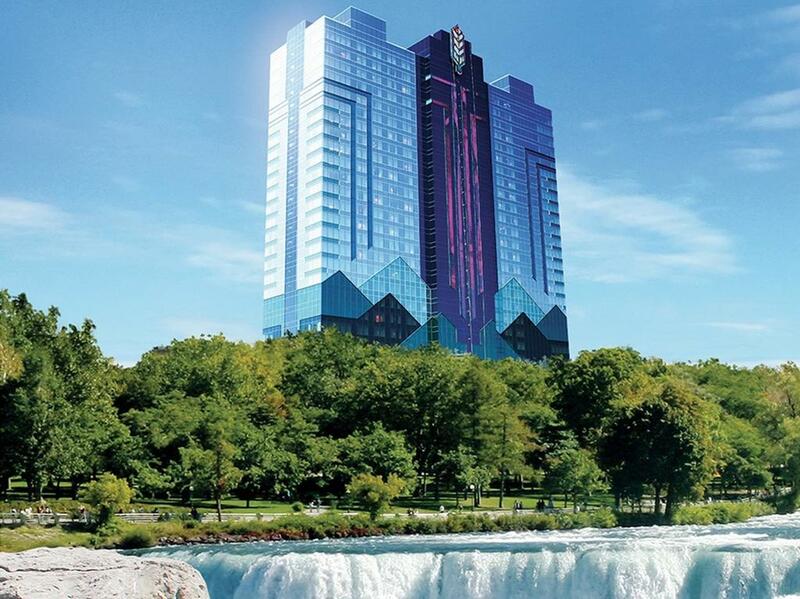 Explore all of the excitement that's yours for the taking at Seneca Niagara. NEARLY 100 TABLE GAMES DEALING NON-STOP EXCITEMENT. Nothing gets the adrenaline pumping like the live action of your favorite table game! Experience maximum thrills in our High Limit Table Game Area or join the blackjack scene in our smoke-free casino, Turtle Island. Grab a seat and get into whichever game you love! Looking for the best slot action in the Niagara Falls, upstate New York region? You've found them! THE ANTICIPATION IS OVER. WE HAVE ENHANCED THE PREMIUM DINING EXPERIENCE AT THE WESTERN DOOR IN NIAGARA FALLS AND YOUR TABLE IS READY. Whether you're looking to celebrate a special occasion, catch up with friends, or simply enjoy a memorable meal for two, Seneca offers some of the best fine dining in Niagara Falls, USA. The Western Door Steakhouse - Experience the all-new Western Door Steakhouse! Come enjoy our new menu, which, just as before, features the finest steaks, chops, poultry, seafood, and more. All the treasures that made The Western Door the premier steakhouse in Niagara Falls are back and better than ever. We are pleased to share the same appreciation in health, environment & standards as our handpicked farms & sustainable fisheries. Our chef's desire is to provide a unique and gratifying experience to all of our guests, by teaming up with farms and ranches. Now serving an expanded steak and seafood menu! Italian food as it should be-unhurried, uncomplicated and uncompromisingly fresh. That's the secret of la Cascata, a sought-after dining experience in Niagara Falls, New York. Here, the area is filled with the tempting aromas of bubbling marinara, house-made sweet sausage and an array of mouthwatering pasta, meat and seafood dishes. All entrees are complemented by a remarkable collection of the finest wines Italy has to offer. From the appetizers to the desserts, la Cascata will delight you every step of the way. Savor a refreshing take on authentic Asian cuisine at Koi as it is fused with a modern approach to dining. Sample tempting creations from the sushi bar or go straight for decadent dishes like the Cantonese roast duck, teriyaki beef tenderloin, crispy pork chop, Chuan Jiao Seafood and more. With a central cooking line, you can watch the passion and talent that goes into preparing your meal. Experience dinner at Koi and surround yourself in a high-energy dining experience. Enjoy the flavor of Koi - ready to go in a snap. If you're looking for fine Asian cuisine to take with you, step into the Noodle Bar at Koi. Featuring chef specialties and guest favorites, the streamlined menu is perfect for a quick and delicious meal. If you're looking for a laid-back restaurant that serves incredibly delicious food you can't go wrong with the moderately-priced restaurants at Seneca Niagara.